When Peter Lyon’s “Eisenhower: Portrait of the Hero” was published in 1974 it was the most comprehensive and detailed biography of Eisenhower then available. Lyon was a journalist and author whose first biography, “Success Story: The Life and Times of S.S. McClure,” was written about his grandfather who co-founded McClure’s Magazine – the original home to muckraking journalism. Lyon died in 1996 at the age of 81. With 912 pages of text, this biography of Eisenhower is both the oldest and lengthiest of my books covering the 34th president. It quickly proves dense, detailed and often dry; there is no flowery prose designed to charm a reluctant reader. This is heavy history and Lyon makes little effort to lighten the journey with with a dramatic, engaging narrative. Although the book’s title suggests a strong affinity for its subject, the author’s overall treatment of Eisenhower is quite objective. But this is a virtual tale of two cities: while General Eisenhower often seems a steady and infallible icon, President Eisenhower frequently appears ineffective or incapable (if not quite inept). The book’s pace and level of focus varies substantially during its lengthy run. Eisenhower’s military service during World War II and his presidency each receive significant – often exhaustive – attention. But other aspects of his life, including numerous important moments during his first fifty years, are significantly short-changed by comparison. 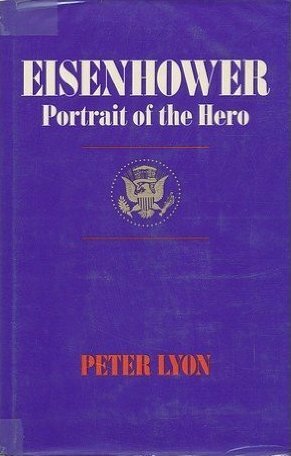 Although Lyon’s examination of Eisenhower’s presidency is both lengthy and detailed there is little effort to dissect and scrutinize his actions or to understand why he did things a certain way. The author’s prime directive seems to have been “observing and describing” rather than “analyzing and revealing.” And determining which details are consequential rather than trivial is a task the author leaves entirely to the reader. In addition, many of Eisenhower’s most compelling relationships (with Fox Conner, George Patton, George Marshall and Kay Summersby, for example) evade thorough and adequate review. His wife and son hardly appear at all. As a result, not only is it difficult to understand Eisenhower through his own actions…it is almost impossible to discern his character through his relationships with colleagues, friends and family. 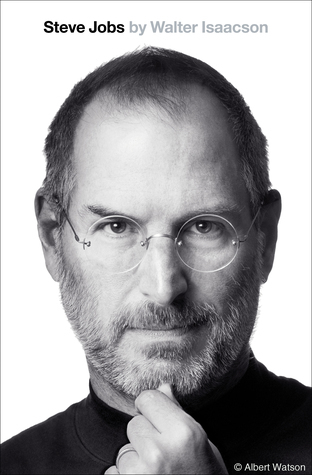 Despite its obvious flaws, this massive biography does offer persistent readers some payoff for their fortitude. There are numerous nuggets of wisdom to be uncovered throughout the book as well as clever observations and potent one-liners. These treasures are clearly outnumbered by the moments of tedium but are often worth the wait. Overall, however, “Eisenhower: Portrait of the Hero” proves more frustrating than rewarding. Readers seeking a detailed account of Eisenhower’s life during World War II and his presidency will find much to embrace. But those seeking equal focus on other phases of his life, or who value analysis and conclusions, will be disappointed. Lyon’s biography is valuable as a historical reference but fails as an ideal introduction to Dwight Eisenhower. I think I’ll make sure not to read that one. But I must confess to being an optimist when it comes to the US – it has proved remarkably resilient over its nearly 250 years.